Flower lace, floral cord lace trim, crocheted lace trim. 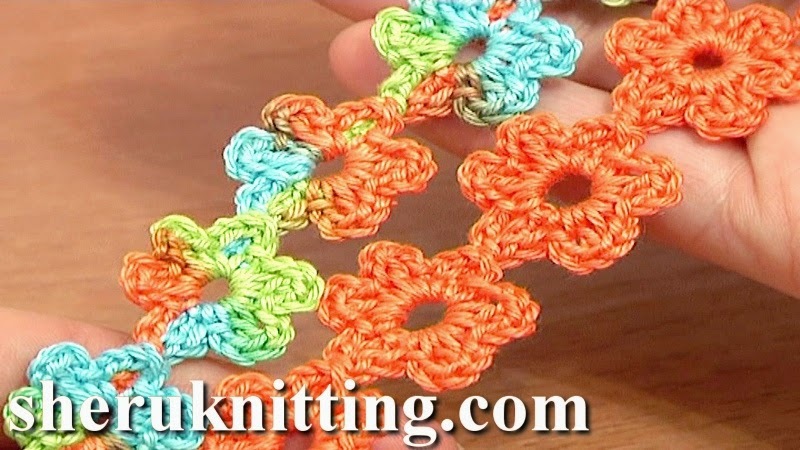 This crochet video tutorial demonstrates how to make a beautiful and easy to crochet flower lace cord that can be used as a trim or as a special accessory for kids clothing. Small crocheted flowers are joined in an invisible way. this technique allows you to make your cord as long as you need without cutting the yarn once you complete a flower. Fun to make! Enjoy!